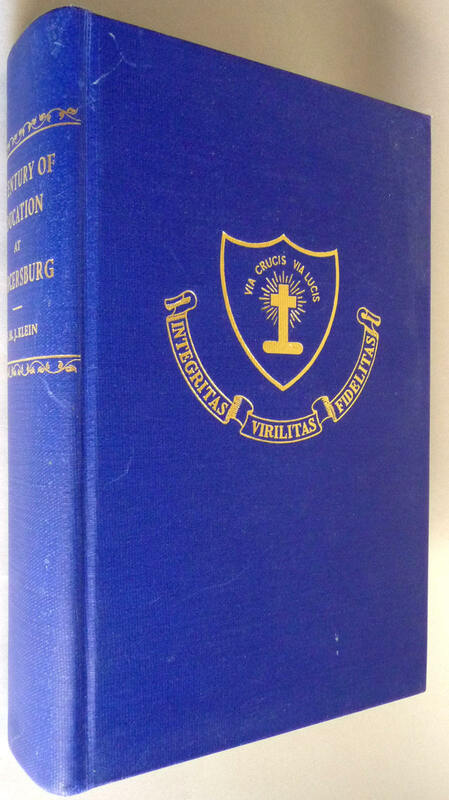 Description: A history of the Mercersburg Academy in Mercersburg, Pennsylvania (Franklin County). Blue cloth boards with gilt lettering and design. Boards have a few scuff marks. Clean and square. Binding is tight. Gift inscription on ffep by Robert "Jack" Merrill Goff (1898-1955), the Secretary to the Headmaster at the academy in the 1930's. The book was gifted by Goff to "Sergeant and Mrs. Patrick L. Slavin" (Pat "The best sergeant in the Marine Corps! "and Audrey). Slavin served as a Marine in WWII and saw action at both Guadalcanal and Iwo Jima. He was also notably the pilot for three US presidents: Eisenhower, Kennedy and Johnson. He retired in 1966 as Aircraft Commander Maintenance Officer for Marine Helicopter Squadron One.